Get away and enjoy the secluded privacy of the Kiwiesque Vineyard Villa with friends or family. The Villa is equipped with quality furnishings and appliances, and has everything you will need to feel at home during your time in the Hawke’s Bay. The fresh air and beautiful green views of the surrounding grapevines and sheep grazing the farmlands will leave you feeling relaxed and rejuvenated. 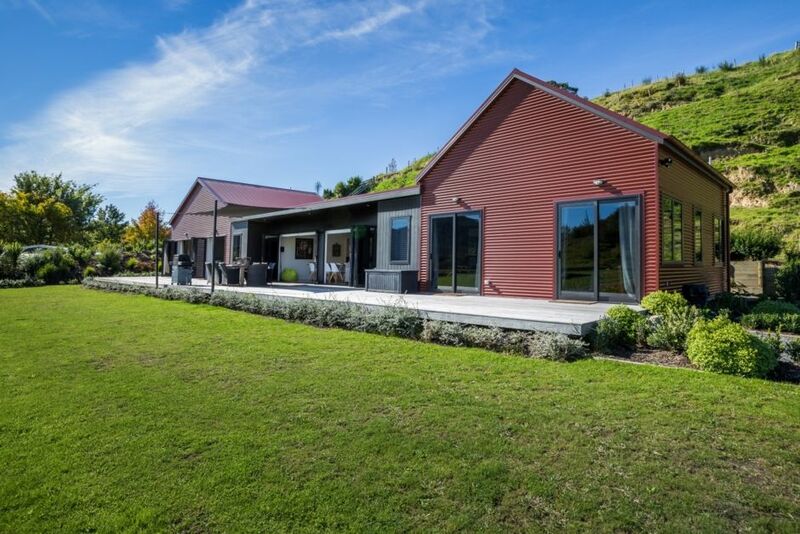 The Kiwiesque Vineyard Villa can comfortably sleep up to 8 – 10 people (depending on room configurations), with 4 large bedrooms, a relaxed open plan living area, and plenty of outdoor living space overlooking the Esk Valley Vineyards.